Alternative country is the dominating cadence that the Old 97s from Dallas, Texas get their audience into. The Old 97 was a train that ran for the Southern Railway. Actually it was the express train better known as The Fast Mail, because of its reputation as a lightning-fast mail train that never came in late. 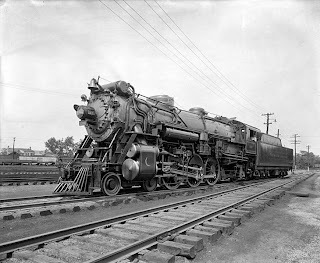 When on 27 September 1903 the train had a one hour delay on the section from Monroe in Virginia to Spencer in North Carolina, the driver, 33 year old Joseph A. (‘Steve’) Broady, was ordered to pull out all the stops. Broady did that a bit too enthusiastically, the train ran off the rails and plunged into a ravine at the Stillhouse Trestle near Danville. Nine people were killed, among whom the men driving the locomotive and several officials working in the mail car in between the tender and the other cars.